For those of you that can’t get enough “UFC 113: Machida vs. Shogun II” action, don’t forget to stream today’s pre-fight press conference LIVE right here on 5thRound.com starting at 2PM ET/11AM PT. 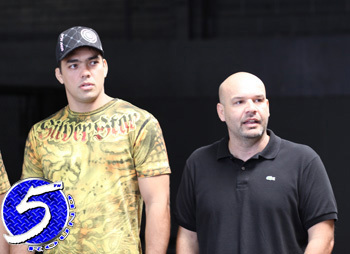 The highly anticipated light heavyweight rematch between champ Lyoto Machida and challenger Mauricio “Shogun” Rua will headline Saturday’s pay-per-view broadcast. In addition to Machida and Shogun, UFC president Dana White, co-headliners Josh Koscheck and Paul Daley, and others are expected to attend the media pow-wow. UFC 113 will be jumping off inside the Bell Centre in Montreal, Canada.